AIDS Legal Referral Panel (ALRP) » Up Your Alley Volunteers Needed!! Up Your Alley Volunteers Needed!! Up Your Alley Volunteers Needed!!! 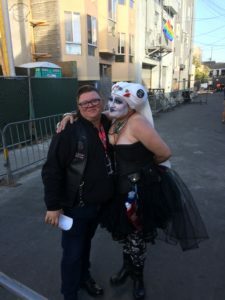 Volunteers are needed at Up Your Alley Street Fair – SF’s exciting leather/fetish street fair! This summer, ALRP is a proud beneficiary of the 2018 Up Your Alley Street Fair (aka Dore Alley). Please join us on Sunday, July 29 at the Folsom Street Events kick-off street fair! 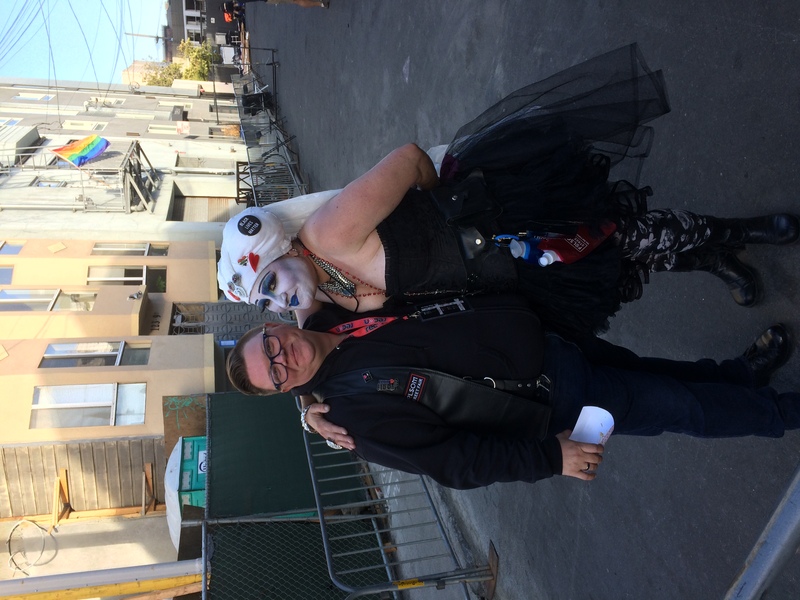 This fun leather/fetish street fair unites adult alternative lifestyle communities with safe venues for self-expression and exciting entertainment. ALRP is once again a major beneficiary and we need as many volunteers as possible! First-time volunteers, Panel attorneys, and street fair stalwarts are encouraged to sign up. Come one, come all!! By volunteering, you’ll have fun and ensure that ALRP is able to provide low-cost legal services to people living with HIV/AIDS. Up Your Alley takes place on Dore Alley between Folsom and Howard Streets from 11:00am-6:00pm on Sunday, July 29. Find out more about the event HERE. If you (and a friend or two!) would like to volunteer, please contact ALRP Volunteer Coordinator Hannah Center at hannah@alrp.org or (415) 701-1200 ext. 303. Shifts marked with a * star are worth DOUBLE credit. Please sign up for one of these if you are available! 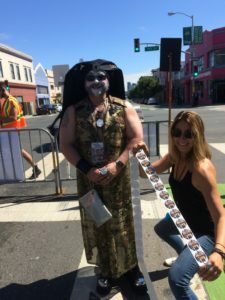 Gate Donations: Work with the Sisters of Perpetual Indulgence to pump $$$ out of fair-goers and hand out stickers. Energetic and vocal volunteers needed. Merchandise: Everybody loves Folsom gear!! Help fairgoers get all the swag they want, including tickets to the hottest dance parties of the weekend. Executive Assistant: Be the first mate to Folsom executive leadership handling random as-needed tasks. Great shift for those wishing to become more involved with Folsom in the future! Treasury Runner: Travel throughout the fairgrounds to collect donations and deliver them to the Treasury to be counted. Will involve walking through the fair and navigating large crowds. Treasury Counter: Money counter! Keep track of all the money that comes in from donations and other booths. Make sure it’s all carefully counted and guarded with your lives. Inside, seated role. Security: Be the eyes and ears of the fair. Radio headquarters to communicate about emergencies, illegal vendors, inappropriate behavior, or shortages. Must have street smarts and be polite but firm. Green Team: Monitor recycle stations and encourage fair-goers to recycle and compost. Gloves will be provided. Supply Truck: Help manage the return of all our tables, chairs, tents, and other exciting supplies. Will involve some lifting. Set-Up: Help set-up the fair grounds. Unload trucks and lift or push heavy objects. Gloves will be provided. Breakdown: The most important job! Restore the fairgrounds to a clean and empty street. Break down headquarters, sweep, move tables, and load trucks. May require heavy lifting. Gloves will be provided. Beverages: Monitor inventory and supply liquor, soda, and water to beverage booths. May require heavy lifting. Use a radio to communicate with the beverage manager. Entertainment: Set-up the stages and dance areas. Expect strenuous work unloading trucks and lifting heavy objects. Exhibitors: Monitor exhibitor area and report unauthorized vendors. After the fair, make sure exhibitors pack up. Friendly but firm volunteers needed. Gates Setup/Breakdown: Help setup and take down the barricades and hang the signs at Folsom street entrances. People can’t have fun if they can’t get in! Hospitality: Maintain food area for volunteers and staff in HQ. Good job for people who want to remain mostly stationary and out of the sun. Coat Check: Help set-up and manage the coat check area for volunteers and staff in HQ. Good job for people who want to remain out of the sun. Registration: Be the first person to welcome our volunteers to their shifts at the fair! Check in volunteers, give out name badges, and dispatch volunteers to their Shift Supervisors and locations. Floater: Flexible volunteers willing to help out when/when needed. The extra pair of hands! ALL shifts will be required to complete a simple Online Training before the fair but there is NO IN-PERSON TRAINING THIS YEAR!! WOO!!!! 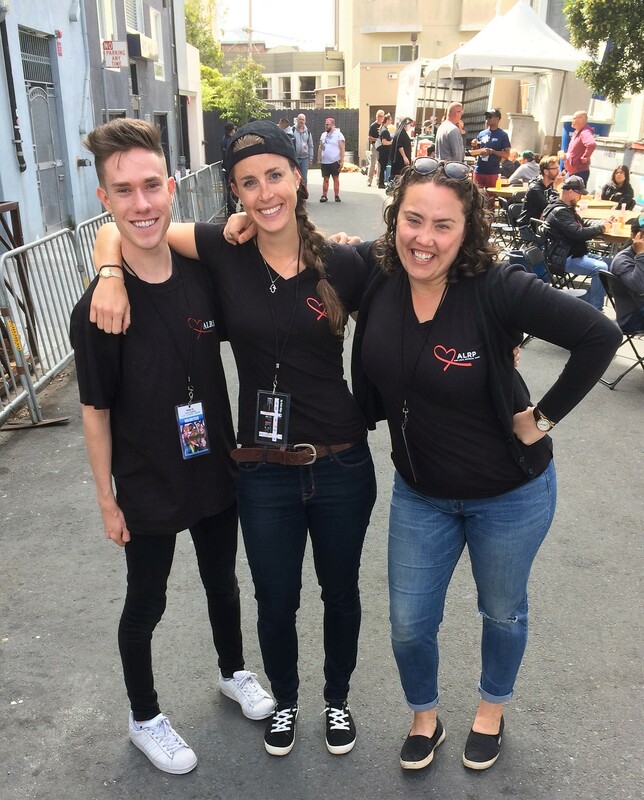 Except….. first-time Security Shift volunteers must complete 1 in-person training to comply with SFPD requirements.